Jr. NBA/Jr. 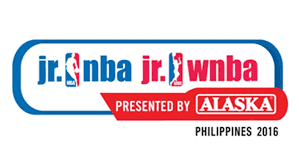 WNBA Philippines 2016 presented by Alaska holds its final Regional Selection Camp this year on April 9 and 10 at the Don Bosco Technical Institute, Makati at Chino Roces Avenue from 9 a.m. to 4 p.m. The Manila try-outs, like the previous selection camps held in Baguio, Davao and Cebu, is open to boys and girls born from 2002-2006. All qualified participants are invited to join for a chance to be part of the selection that will move up to the third phase of the NBA’s global youth development program, the National Training Camp (NTC). On April 9 the young athletes will undergo vitals tests and basketball drills that will determine their skills, aptitude and endurance. At the end of the day, the Top 40 boys and 24 girls with the highest cumulative scores in the different challenges will return the next day. On Day 2 (April 10), the young cagers will undergo more individual and team basketball challenges. Scrimmages will be conducted at the end of Day 2 and will determine the final selection. The top performers in Manila will join other top performers from previous regional selection camps in the National Training Camp that will be held from April 22 to 24 at Don Bosco and SM Mall of Asia. At the NTC, Jr. NBA Coach Craig Brown together with Alaska coaches headed by Coach Jeffrey Cariaso will look at the players’ basketball skills and aptitude and how they embody the Jr. NBA core S.T.A.R. values of Sportsmanship, Teamwork, a positive Attitude and Respect when selecting the Jr. NBA and Jr. WNBA Philippines All-Stars of 2016. Ten Jr. NBA and five Jr. WNBA players will be named the Jr. NBA/Jr. WNBA All-Stars of 2016 on April 22 and will embark on a unique, overseas NBA experience together with fellow Jr. NBA All-Stars from Southeast Asia later this year. Past Jr. NBA All-Stars through the years include professional basketball player Aljon Mariano, Gilas Pilipinas Cadet Kiefer Ravena, De La Salle Green Archers’ Kib Montalbo, Lorenzo Navarro, Aljun Jay Melecio and Ricci Rivero; UP Fighting Maroons’ Henry Asilum, Jarrell Lim and Janjan Jaboneta; Adamson Falcons’ team captain Dawn Ochea and Carlo Escalambre; NU Bulldogs’ Rendell Senining and Ateneo Blue Eagles’ Hubert Cani, Thirdy Ravena and Tyler Tio. Qualified boys and girls may still register for the Manila Regional Selection Camp at www.jrnba.asia/philippines, where the program terms and conditions can be found. For more information, fans can also follow Jr. NBA on Facebook at www.facebook.com/jrnbaphilippines. For all things NBA, fans can visit www.nba.com, like it on Facebook at www.facebook.com/philsnba and follow on Twitter at www.twitter.com/nba_philippines.